Here is my tune in! Fair enough! 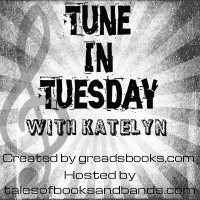 Tune in Tuesday is great for introducing us to songs we’ve never heard before, but we can’t like ’em all! This is such a mellow song. It has been rainy here too so I can totally relate to the need for some slow music. You know, I think that was kind of fun! It was quirky and mellow and different. Thanks for sharing it! That is pretty much the same reaction I had to it! Glad you enjoyed!